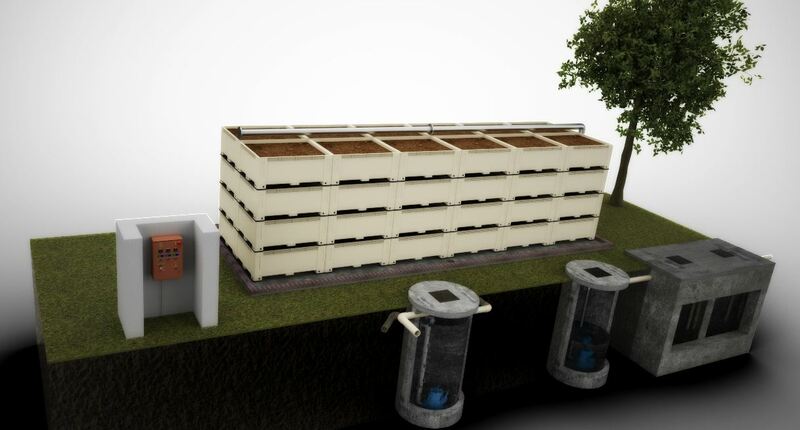 Sewage treatment has never been easier. And not just sewage treatment. The SOG trickling filter can also purify biodegradable industrial effluents. SOG trickling is a South African innovation, developed to suit the needs and budgets of any serious environmentalist. Not so long ago, our Director General of Water Affairs made a plea to Sanitation Engineers. "Please make sewage treatment easy"
The SOG trickling filter is a waste water treatment process that has evolved from the need to treat small and sporadic amounts of domestic sewage. 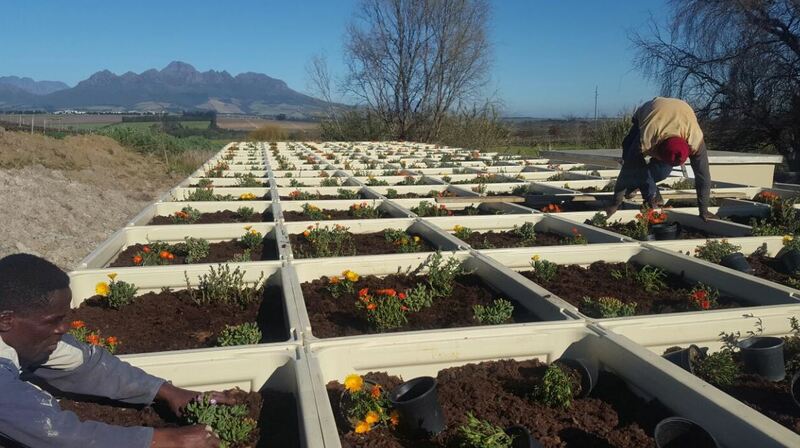 Unlike most conventional sewage treatment plants, the SOG filter makes use of plants, earthworms, fungus and bacteria to treat sewage. By spreading the type of organism activity, a larger range of variable flow and load is possible. The range in size of treatment organism also facilitates the conversion of sewage to heat and gas as opposed to mere biomass. In the SOG filter there are pockets of aerobic, anoxic and anaerobic zones. Organisms live in the various zones performing selective functions including dissolved organic material degradation (COD reduction), conversion of ammonia to nitrate (nitrification) and removal of nitrate (denitrification). In conjunction with the presence of various habitats, the SOG filter makes use of media that has adsorptive properties. Portions of dissolved organic material are trapped in the media. In times of low or no flow, the trapped material becomes available as a food source (substrate) for organisms that thrive on sewage. If no flow conditions persist, the organisms will consume all available and trapped substrate. When flow recommences, the media will adsorb substrate and allow the concomitant regrowth of organisms. Because the SOG trickling filter is multi-layered, there are multiple eco-systems to be seen at each level. 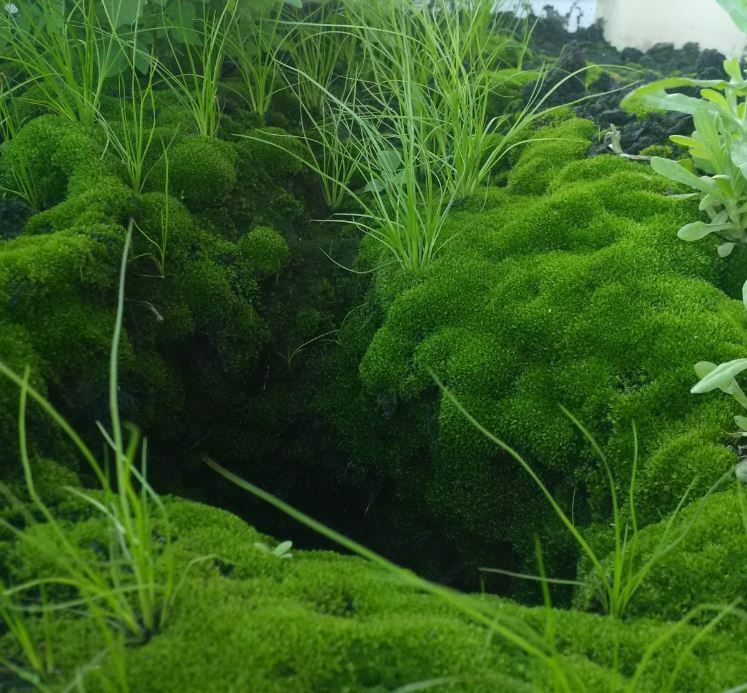 In the image below, algae is growing on the top layer. In this instance the SOG filter is being used for treatment of effluent generated at a truck wash bay. Find out more about life in a SOG trickling filter.